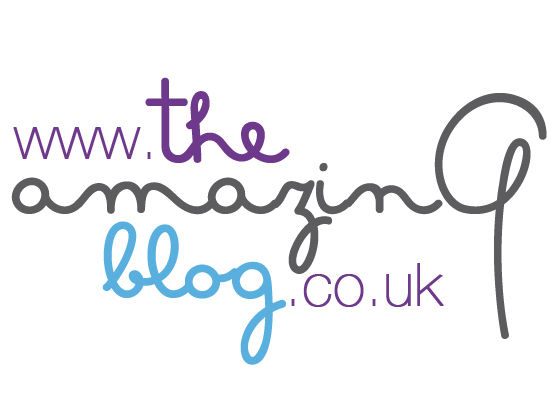 We don’t know why but all the amazing girls at The Amazing Blog find it tough picking the perfect gift for a man. We might have found the way that can save you from buying your boyfriend just a pair of socks this Christmas due to last minute struggles. Let’s start from the inner artist that every man masks in his core. 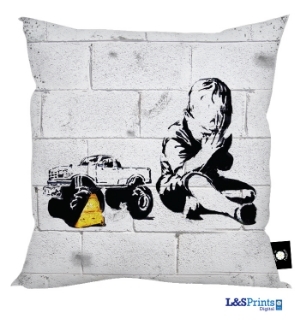 If in the past months he’s been bagging you to visit Dismaland, Banksy’s theme park, or his main talent is drawing on walls, L&S Prints Banksy cushions will keep his creativity alive and satisfied. Signature pictures and Banksy’s quotes replicated on a black, white and red base collection. Young choice on a not too serious sofa, these cushions are the extra touch of folly a stylish house always needs. The fabric is so indulgent and soft it can easily be considered as the best company for sweet dreams. they’re all completely machine washable, the colour won’t fade and will stay bright and vibrant as the day you bought it. Available in two sizes here for £10.99 and £12.99. From Ross&Ross Food arrives something that – we still cannot believe it – has never seen before: The Homemade Curing Kit. Imagine having for breakfast free range eggs and bacon? Not so difficult, is it; but what if we say that for your bacon you can go better than your local grocery shop? Finally awakening the farmer in you, curing and producing your own personal bacon becomes possible with this kit. Everything you need is inside, included gloves, a little hook and mixes for smoked, sweet and original flavour. The instructions are pretty clear but some extra help can be found on their YouTube video. The entire kit is available here for only £20, just improve it with your favourite piece of pork! Question. What’s men best ally and personal pride? Not his car as many could think but his beard. For Christmas you can show him how much you care about it with Annabel James Shaving Gift Set. It contains all the essentials for an impeccable shave. After using the pre-shave treatment, one of the famous Edwin Jagger brushes, made with natural badger hair, not too rigid and soft enough to caress his skin, will evenly spread the shaving cream. Indispensable to avoid redness and dry skin, the aftershave lotion also included. All the products are in a practical sample size and wrapped up with an elegant Edwin Jagger ribbon. Let him feel like the groomed king of the manor every day, this fantastic set is available at £18.50 here. We all love a man that takes care of himself, however, when they take longer than you to perfect their hair, it becomes a bit of an issue. Which is why Jamie Stevens has created the MR collection designed to combat hair loss, grooming for men couldn’t be easier. We tried the Thicker, Fuller, Stronger collection and within days, the girls were envy of the men in the office’s new hair locks. The MR Collection features three categories, Thicken, Style and Disguise and can be bought here individually from £10- £18. Formahouse selected from SPARQ Home the newest and most unusual whisky rocks; the collections we love the most are the Holiday Set and the Man’s set, of course, keeping your whisky cold enough, for the perfect drink. They are all made by recycled soapstone and will keep your drink nice and cold without water. They can also be used with hot drinks as they’re microwave-proof. The Holiday Set (snowflake, Christmas tree and ginger-man) is available here for only £15; same price for the Man’s set available here.